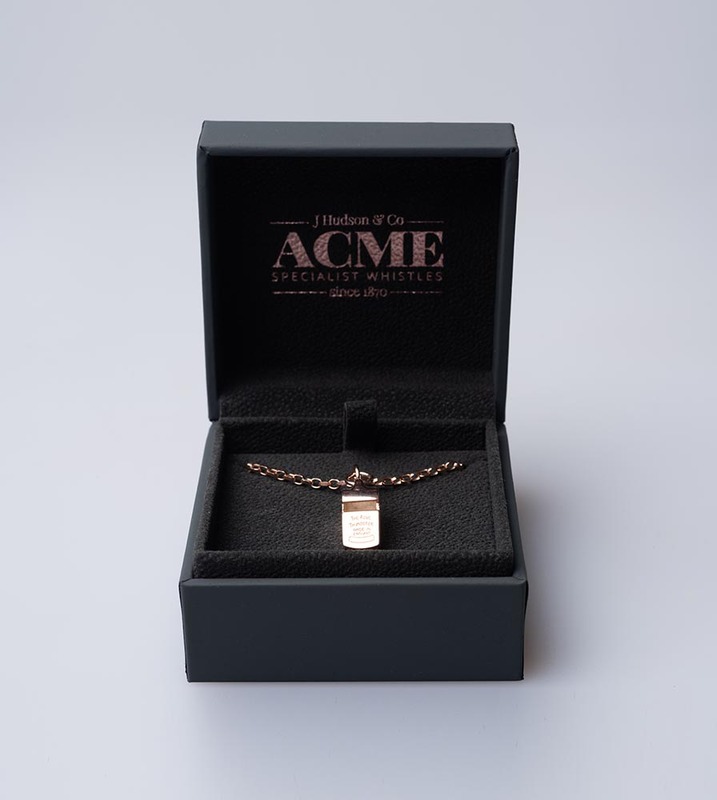 Acme miniature whistle necklace on a chain. This miniature whistle necklace is hallmarked at the Birmingham Assay office. Fully workable replica of the world famous ACME Thunderer Whistle. High quality. Comes packaged in a handsome Acme dark blue gift box. Chain is approx. 17.5" long and the whistle is approx. 3/4" long x 1/4"